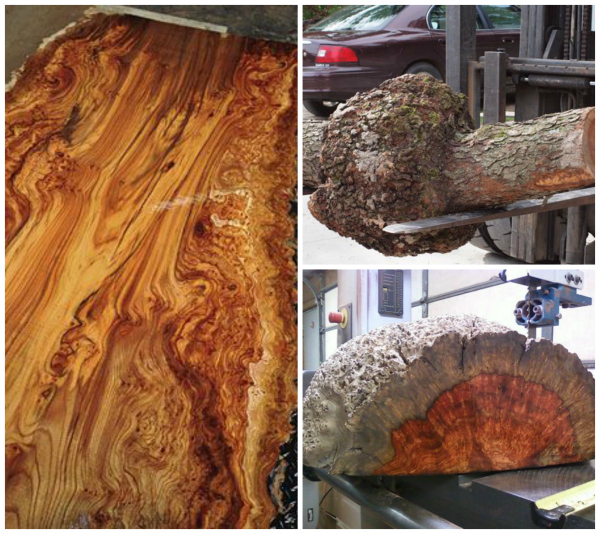 BURL: a type of wood that comes from a tumor-like growth on a tree. Typically cut in thin veneers to showcase its beautiful figuring. Sometimes the figuring looks like tortoiseshell. Occasionally, it is large enough to provide planks that can be used as tabletops. Common species for this type of wood are walnut, elm and yew. American redwood can provide the thicker planks. Burl wood is not the same as crotch wood. Crotch wood is caused by the compression on the tree where a major branch meets the trunk, not a tumor-like growth. While also quite beautiful, crotch wood does not have the extreme swirls and eyes seen in burl wood. It can be hard to tell the difference, but here is an example of a small Jansen chest in our apartment featuring crotch mahogany veneers on the face. As a little review, note the sabots capping the chest’s feet. 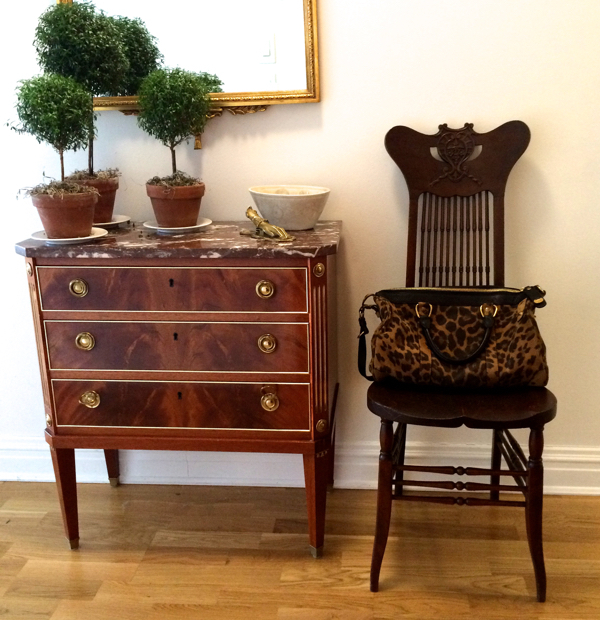 A Maison Jansen chest, c.1930, in our apartment featuring crotch mahogany veneers on the face. 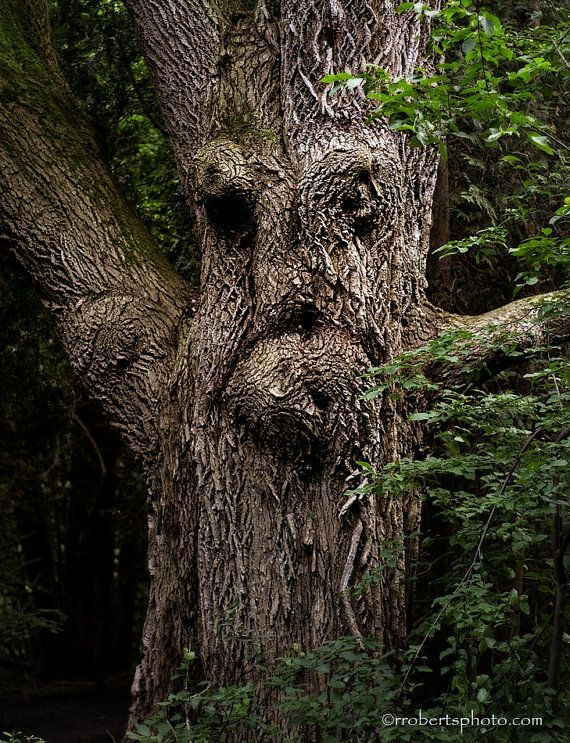 This tree looks like it came out of Game of Thrones–the burl growths resemble a face. Although it is technically a flaw in the wood, the use of burl wood to decorate furniture has long been popular. Here we see it in a high chest from c. 1725. We own this pretty wood side table from the Victorian period. Our Victorian period side table with burl top. This art deco-style clock is charming. The use of burl wood was common in the Bierdermeier period. And burl wood was very popular in mid century furniture as seen in this Paul Evans classic console from his Cityscape collection. These contemporary side tables have a burl wood plank top. 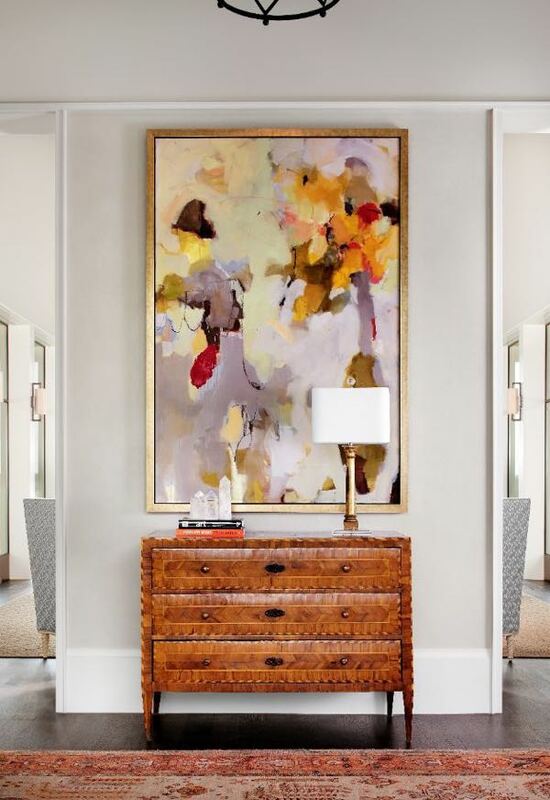 Photo credits: wood chest from FieldstoneHill Collage: being cut, showing figuring, slab.William and Mary chest from Sotheby ‘s; art deco clock; contemporary side tables; kitchen island from the New York Times. Room with side table from Apartment Therapy. nightstand chest from Elements of Style. chest from a perfect gray. Tami Ramsey console via Lonny.